Palm Health Foundation and Merrell Family Foundation are two non-profit organizations making a difference in our community. They have teamed up to present “Train the Brain,” a community health campaign focused around the importance of brain health. “Train the Brain” urges Palm Beach County residents to take a brain health pledge and attend the free events offered on the campaign website, www.TraintheBrainPBC.org. The Merrell Family Foundation (MFF) is the presenting sponsor, and the Palm Health Foundation (PHF) is the founder and coordinator of the campaign. 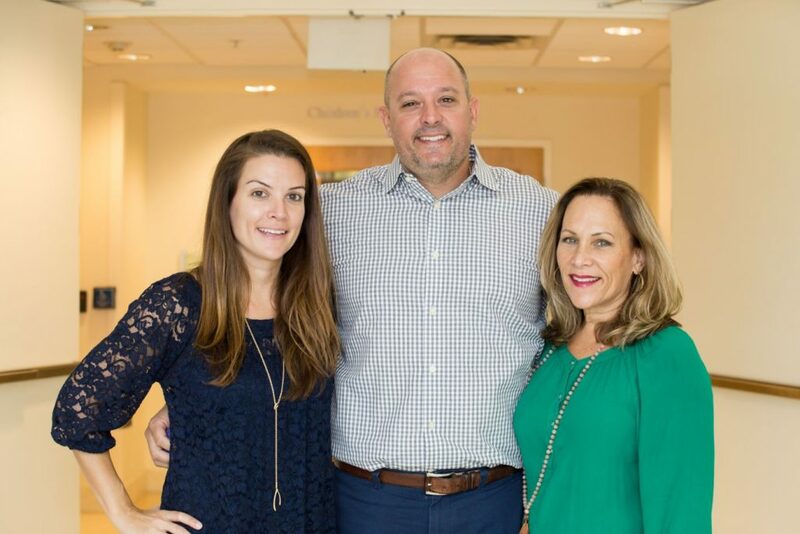 I had the opportunity to talk with Patrick McNamara, president and CEO of Palm Health Foundation, and Jill Merrell of the Merrell Family Foundation (and Ultima Fitness in Wellington) about what they are doing. While “Train the Brain” was initially launched last January, they decided to launch another “Train the Brain” series this October, as it’s mental health awareness month. AW: What is something about the brain (or brain health) that most people do not realize? Pat: Many people don’t realize how plastic the brain is, and with neuroplasticity the brain has the power to heal itself. A lot of people make analogies to a computer, but the brain is more of a living thing that can be taken care of. And there are simple things you can do to improve brain health. Jill: Advances in science over the last twenty years have been amazing. We are able to see that the brain has neuroplasticity, we can make changes and “train the brain.” If you care for it, nurture it and give it the right maintenance, there are great results. We tend to pay attention to other parts of the body, but the brain is neglected. At the Better Brain Health Luncheon last year. 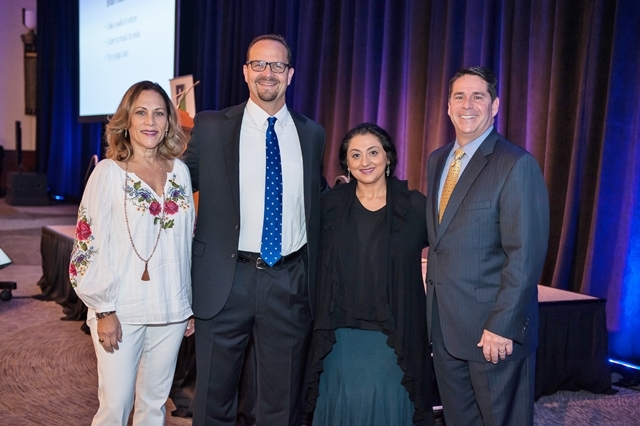 Left to right: Jill Merrell, Pat McNamara, Amishi Jha, PhD, and Keynote presenter last year at the luncheon, and Don McKenna, CEO of Jupiter Medical Center. AW: What are the benefits of meditation? Pat: Meditation and mindfulness have been around for thousands of years. Treated as more alternative, Eastern methods, these have not been accepted in Western society fully. There’s a growing mountain of evidence that meditation helps. There are great benefits when it comes to depression and anxiety. Meditation and mindfulness produce tremendous benefits for your brain. AW: What are some of the highlights of your extensive “Train the Brain” Events Calendar for October? Pat: Jupiter Medical Center has a Mindfulness Center and they will offer two workshops, one on brain health and cancer, and the other on brain health and sleep. There’s a growing awareness that our nation is sleep deprived. So, we’ll be learning about the connection between sleep and brain health on October 11th. There are several events involving yoga and mindfulness. There’s a conversation about positive psychology called “The Habit of Happy”on Oct. 19th. The conversation will aim to inspire people to approach their lives in a different way and to take inspired action toward a life they love. Jill: There’s a mental health first aid training, which comes from an evidence-based curriculum. It’s a workshop that helps you identify when someone is in crisis and shows you what to do. By the way, there’s a local Mental Health First Aid Coalition, and they have trained over 4,500 residents. In a recent effort with Leadership Palm Beach County, they established a 100-day goal for 100 businesses to sign up for the First Aid training. On Friday, October 5th, Ultima Fitness in Wellington is hosting a free yoga and meditation class to kick off Train the Brain. I will also be leading different offerings around the county. Look at the Train the Brain calendar at www. TraintheBrainPBC.org. I hope to see a lot of the community taking advantage of these diverse offerings in the brain health space. Jess Merrell, Justin Merrell and Jill Merrell of Merrell Family Foundation. AW: What are some important routines to promote brain health? What can be damaging? Pat: There are five important domains when it comes to brain health – sleep, nutrition, physical activity, social relationships and reducing stress. Practicing mindfulness, doing yoga or participating in other physical activities can promote brain health. Jill: It’s important to have empathy and compassion for others. It can be damaging to not have an understanding of others’ feelings and by trying to convey our own feelings, we may be adding more stress inadvertently. Research shows that loving-kindness meditation has a tremendous amount of positive advantages, ranging from benefitting our well-being to giving relief from illness and improving emotional intelligence. Pat: Social isolation and loneliness can be very damaging. Studies have shown that isolation can be more damaging to one’s health than excessive smoking. According to the Surgeon General, the greatest public health crisis is social isolation. There’s a great book on the subject titled “Social,” written by a U.C.L.A. scientist Matthew Lieberman. It shows how evolution has led the way to the importance of social relationships in the hierarchy of our needs. Jill: I’m currently reading an interesting book titled “Why We Sleep” by Matthew Walker. It’s fascinating to understand how important sleep is and how our actions in our day-to-day life may be having tremendous negative effects on our health. There is documented evidence that poor sleeping habits may be one of the major causes of mental illness. I just read about a recent study by scientists at the University of Oxford who found that “sleep disruption is a driving factor in the occurrence of paranoia, hallucinatory experiences, and other mental health problems in young adults with an average age of 25.” Lack of sleep is also linked to anxiety and depression. The reason is that a lack of sleep affects the amygdala and the prefrontal cortex – two areas of the brain that are necessary for managing emotions. Sleep deprivation causes us to see things more negatively, and to become moodier and more emotionally reactive. AW: How old is the Merrell Family Foundation? How was it founded? Jill: When my husband took his own life in February of 2012, the only way I knew to heal and to help my family was to make sure we found a way to help others that were in a similar situation. My thought was that if we could start the healing process while helping others, we could honor John and try to find some peace in our lives. I was introduced to Palm Health Foundation through a family friend and through that relationship was invited to every event they offered in the mental health space. 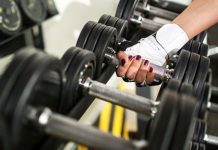 I own a fitness and wellness center, Ultima Fitness in Wellington (since 1990), and through this relationship it felt natural to get involved in Palm Health Foundation’s “Let’s Move” campaign. We know that the positive impact of physical activity is beneficial for mental health. Although “Let’s Move” was a great success, I was relentless, and wanted more. I wanted to know what else we could do regarding brain health and awareness. PHF decided to make brain health the focus of their next community health campaign. They asked MFF to be the presenting sponsor of “Train the Brain.” We immediately said yes. A sense of community is really important to us at Ultima Fitness and at the Merrell Family Foundation. 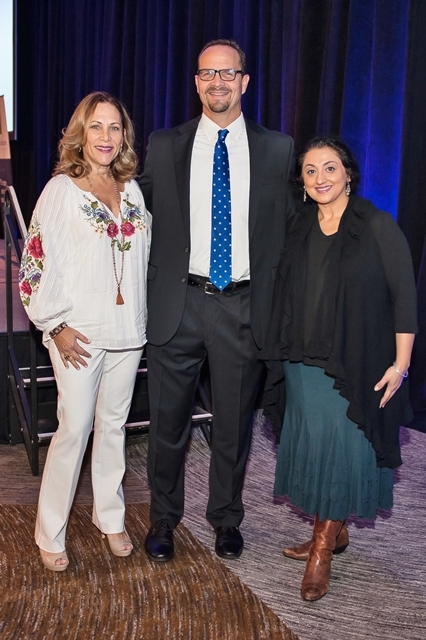 Left to right: Jill Merrell, Pat McNamara, Amishi Jha, PhD, and Keynote presenter last year at the luncheon. AW: What are some other projects the Merrell Family Foundation is involved in? Jill: The goal of the MFF is to create awareness about mental health and erase the stigma. We want people to understand more about mental health and have open conversations as with any other health issue. It seems that people do not understand that your mind and your body are all connected. So the phrase “Train the Brain” resonates with people. We are also partnered with Student ACEs for Leadership in Palm Beach, Broward and Dade counties. This organization teaches student athletes more of the soft skills. Through the support of MFF they are able to offer the students the mental health training including Mental Health First Aid and mindfulness training. We are also having conversations with some South Florida universities to do research on the impact our efforts are making. AW: Tell us about Palm Health Foundation. How do you generate donations? Pat: Our mission is to inspire and fund solutions for better health in Palm Beach County through community collaboration. In 2001, Palm Health Foundation was created after the sale of St. Mary’s and Good Samaritan hospitals. It was planned that the assets would stay in the community for the health of people in our area. We are fortunate to have an endowment. But we get much further by working collaboratively. Our goal is to improve the health of ALL Palm Beach County residents through our collaborative grant making and community health campaigns. We primarily receive donations for two purposes—donors establish a named fund from which they can make scholarship awards and grants; and donors support our big initiative work. Brain health is a priority for the foundation. We have a Better Brain Health fund and are accepting donations for that. The funds go to research around brain health and improving care. We have a very generous local community. If people want to advance health and healthier lifestyles in Palm Beach County today and for future generations, we encourage them to think of Palm Health Foundation. People can give by check, credit card on our website, or by meeting with our Director of Philanthropy, Jeff Groves. See the information at the end of this article. 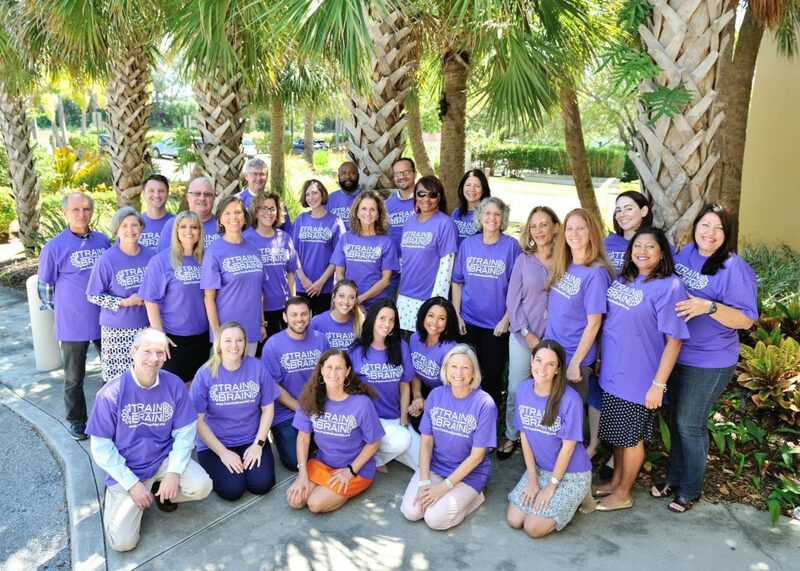 AW: At Palm Health Foundation, how do you decide where to invest funds? Pat: We have a Community Investment Committee, which acts as our grants committee. They are the governing body on those decisions. The committee is made up of trustees and community members. AW: Pat, you’re nominated as “Nonprofit Executive of the Year.” Tell us about your background. Pat: Prior to this, I was at Community Partners for 18 years. I was CEO for the last ten years. I started out with addressing behavioral health needs in our community and moved toward developing housing solutions for those with mental illnesses. I was attracted to Palm Health Foundation, as they are focused on the intersection of health and community development. I feel like I’ve landed in a place where we can make great impact in the community. There’s a growing recognition of how health care is important, but clinical care is responsible for only 10 to 20% of good health. There are so many other factors – where you live, nutrition, genetics, behaviors. It’s very empowering to learn about. That’s why we recently changed the name of Palm HealthcareFoundation to Palm Health Foundation, as we have a broader understanding of all that impacts our community’shealth. AW: What are some of your greatest achievements in our community? Pat: In the nursing arena, we made a large donation to Palm Beach Atlantic University to start their nursing school. We have given $4 million in nursing scholarships. We have given $7 million to Safety Net Clinics, serving those who are uninsured or underinsured. As with “Train the Brain,” our VP of Communications Marge Sullivan blended a PSA with a call to action and has brought our campaigns to life. The county logged over 32 million minutes during the month of March with the “Let’s Move” Campaign, getting many people in our community active. Jill: Through sharing our own story and the connection to our community, we are able to bring like-minded individuals and organizations together to come up with solutions to this mental health crisis. We are connecting and funding our partners so that together, we can tackle challenges to find solutions that will make our community a more peaceful, healthier place.